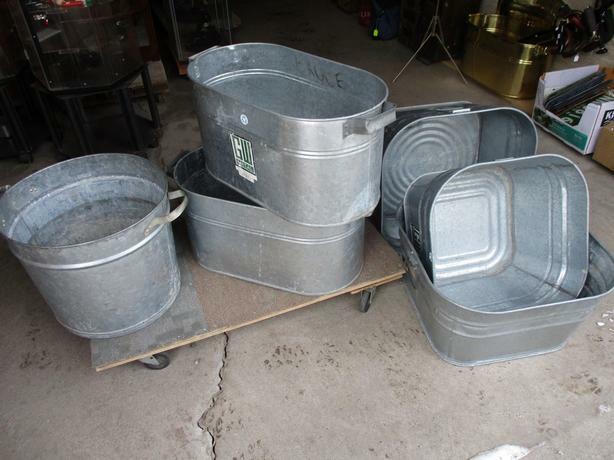 THESE TUBS ARE IN GOOD CONDITION AND ARE $45.00 EACH. THREE ARE RECTANGULAR IN SHAPE WITH MOVABLE HANDLES. THE NEXT TWO ARE OVAL WITH SOLID HANDLES. THE SIXTH IS ROUND WITH SOLOD HANDLES. EXCELLENT FOR STARTING PLANTS OR BATHING THE BABY.